Big Green Eggs are available from a network of Authorized Dealer “EGGsperts®”, who are trained to assist consumers with superior product knowledge, unmatched customer service, useful EGGcessories and warranty support. 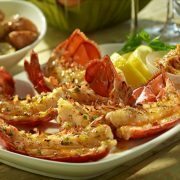 by unauthorized resellers or resold by private parties. Consumers are advised to always check the Dealer Locator before making a purchase to verify that they are purchasing a Genuine Big Green Egg product from an Authorized Big Green Egg Dealer, and to obtain warranty coverage from Big Green Egg. To purchase a Big Green Egg, please visit an Authorized Dealer in your area or CLICK HERE to use our Dealer Locator. Many dealers will assist with assembly and delivery or set-up options if needed. If you do not have a dealer conveniently located, contact The Big Green Egg Australian Distributor in Melbourne on 03 9873 2711 or email sales@biggreenegg.com.au. 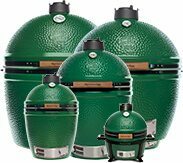 BIG GREEN EGG®, EGG®, The Ultimate Cooking Experience®, EGGtoberfest®, EGGcessories®, EGG Mates®, convEGGtor®, MiniMaxEGG®, SpeediLight® and others are Registered Trademarks and/or Trademarks of The Big Green Egg, Inc. The distinctive green color and overall configuration of the EGG in such color are also trademarks of The Big Green Egg, Inc.
© 2016 by The Big Green Egg, Inc (BGE). All Rights Reserved Worldwide. 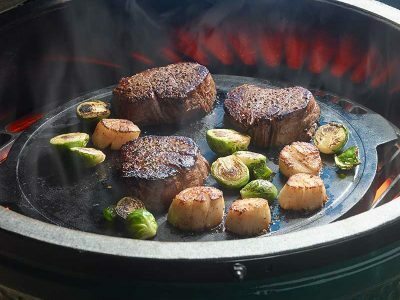 Big Green Egg®, including the Big Green Egg logo and particular green color; the green grill design; EGG®; The Ultimate Cooking Experience®; The Ultimate Cooking EGGsperience®; EGGfest®; Prepare to Get Hungry®; convEGGtor®; MiniMaxEGG™; EGGcessories®; EGGcelerator®; EGGspert®; Dizzy Gourmet®; EGGzilla®; SpeediLight®; Nest®; EGG Mates®; The Ultimate Grilling Experience™; EGGmitt™, EGGbrella™, EGGniter™, rEGGulator™, EGGmat™, Comfort-Tie™ and others are trademarks and/or registered trademarks of BGE in the USA and other countries throughout the world. All images and materials are protected by © copyright and all rights are reserved in any medium and any form of reproduction worldwide. No part of this website may be copied, reproduced or transmitted in any form or by any means, digital, electronic, mechanical, scanning, photocopying, recording, or otherwise without the prior written permission of BGE. Any use of these materials without the prior written consent of BGE is strictly prohibited. The BGE products, images, information or descriptions contained herein are the intellectual property of BGE and may be protected by patent, copyright or trademark. Other images and/or product names mentioned or depicted herein may be protected by copyright or trademark and are the property of their respective rights holder. Warning: The unauthorized reproduction or distribution of this copyrighted work is illegal. Criminal copyright infringement, including infringement without monetary gain, is punishable by up to five years in federal prison and a fine of $250,000.